My friend Karen over at Sunburnt Quilts has been making these fabulous ribbon trees. So I dumped it out and went to work. I'm sure the rocking horse ribbon was supposed to be used on a baby quilt at one time or another, but what a fun tree it made with the solid ribbon. A quick online search for free rocking horse applique patterns, and I had the perfect match for my little tree. This pattern came from Four Twin Sisters. Click HERE for your own copy. I reduced it by about 15% to fit the size of my tree. It was so much fun, that I just couldn't stop with just one. Now this guy! I was happily quilting away and was more than 2/3rd done when I realized that my tension was a mess, and the top white thread was showing on the back! ARRRRGH. So I have this great idea... I would take some tole paints and just lightly brush some black on the back. Camouflage if you may! All was well, until it started to come thru the front. Actually it gave a kind of fun look to the thread, so I kept going. Yeah -dumb idea! It started to run all thru the front! YIKES, did I have mess on my hands now. So I decided all I could do, to try to save the project, was to run it under water and try to dilute as much of the paint as possible, then dry it. I know that many of you are looking at it and thinking YUCK!! But I kind of like the end results. It really shows up the quilting now, and the gray around it, toned it down and shaded it enough, that it's easier on the eye. That's my story and I'm stickin to it! hahaha So when life gives you lemons... hummm gray lemonade? Ahhh, you know what I mean. Thankfully the last one decided to play nice and go together like it was supposed to. For this guy I just found different coloring pages online and combined the gingerbread men. So thanks Karen! I have used up scraps, practiced my free motion quilting, and have some Christmas gifts ready to give now! You inspire me every day! Now for that darn Yvonne. 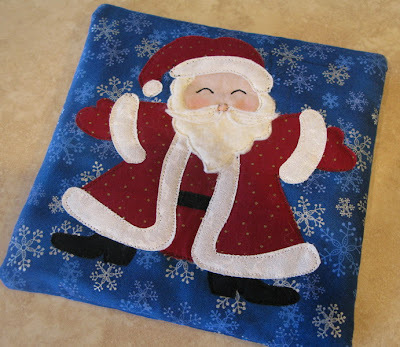 She knew I was all done with my holiday projects, but nooooo... She had to go and post on her blog this adorable Christmas tree she was machine embroidering, and she mentioned a Santa too. So of course I had to take a peek at Embroidery.com (it's a PJ's in the hoop design) to she just what she was up to. Well, don't you know I had to have one too! Now is he just not the cutest thing you have ever seen? He's big! But all done in the hoop. It's quite an interesting process, and very fun. I found that his pocket is the perfect size to tuck a gift card into, too. So for next year I have a plan! Thanks Yvonne, I love my Santa! 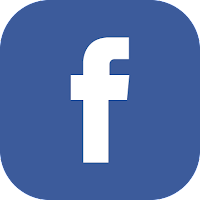 So share with us just who it is that has inspired you. 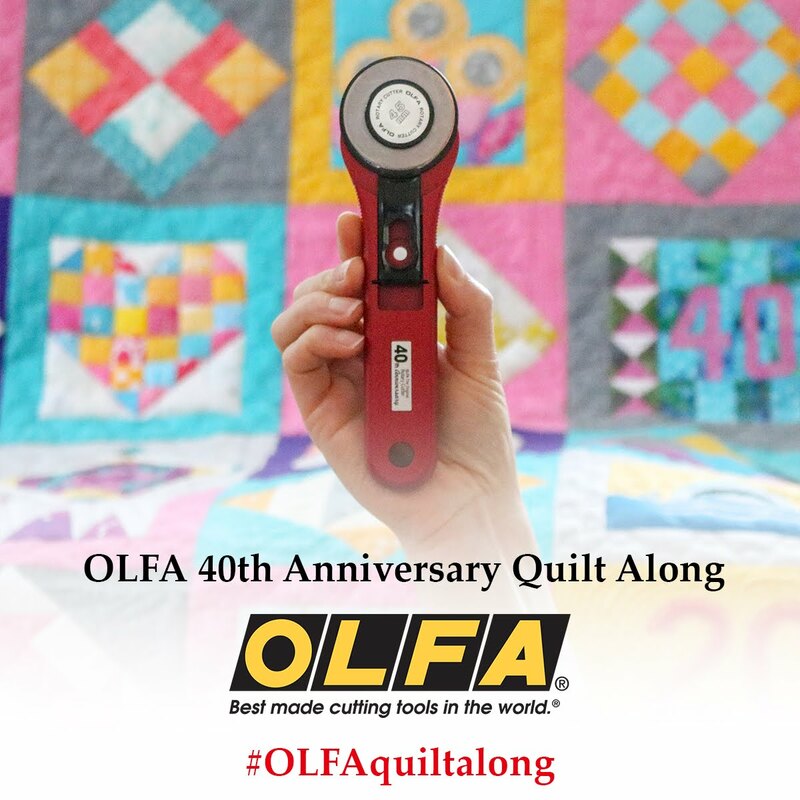 We all love to show and tell, and nothing makes a quilter feel better than knowing she inspired someone! Dec 16th-It's give a way day! Ahhhh yes, the day we have been waiting for. I am humbled beyond words at all the kind comments on my Deer Oh Deer quilt. Without further ado, the Random Generator says #35. Your quilt is beautiful. I'd love to win the little sample of it. Thanks for the giveaway - I'm a new follower. Yes! That means you Joyce!! This little guy is in the envelope, ready and waiting for your address! This week, I got my Christmas arrangement finished up. Yes, the one inspired by a blogging sister, out there in blog land. :-) I ended up not making a wool Gingerbread, but used a vegetable dyed fabric for the little guy. Those chopsticks they give you with take out Chinese food was perfect for this. I just glued a set of them to the back of my Gingerbread man and then was able to poke it into the foam base. Who knew??? As for the base, I started off with a paint bucket (from Lowes) that I glued (with E6000) to a plastic charger plate, that I found on clearance at Michael's Craft Store. Have you ever used these great spray paints?? It covered beautifully. Heck if I had had a "used" paint can for this project, it would have been perfect, but if I start collecting anything else, my hubby will have a coronary! 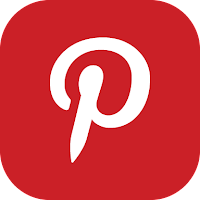 So on that note, I want to thank everyone who participated in the Quilting Gallery Blog hop. I do hope you found as many great blogs as I did. Whew! My reading list has sure grown. There is and such great talent and inspiration out there. So read on my friends and put all that inspiration to work for you, I know I am going to! Here we are Dec 11, and it's our big reveal day! I am so glad that Barbara inspired us to use this week and get our holiday projects and UFO's done. I made use of our bad weather, and a week off work, to finish up some holiday projects, and does it feel good! It's not Dec 23rd yet and I am not frantic over finishing up things!! YEAH!! Thanks Barbara!! So this week I did a few things. First off a contemporary guitar wall hanging. I have to say, I have always been enchanted with contemporary quilts, but it really isn't my style. # 1 son collects Hard Rock Cafe guitar pins, and I have been thinking about making this quiltie for quite some time now. 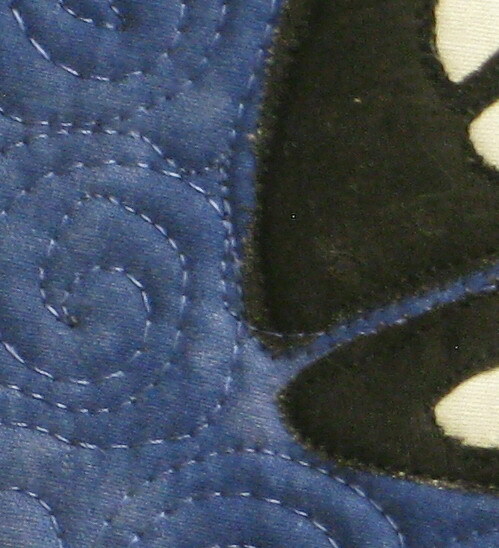 It was a pattern in a Quilting Arts book in 2003. I told you it was quite some time I had been thinking about it! :-) :-) I added the wide borders so he can attach all his pins to them. I have say, the process of quilting it was so much fun! It let me sit and play to my hearts content. When I sit back and look at it, I see things I would do very differently now, but having this "canvas" to play on was worth it's weight in gold! 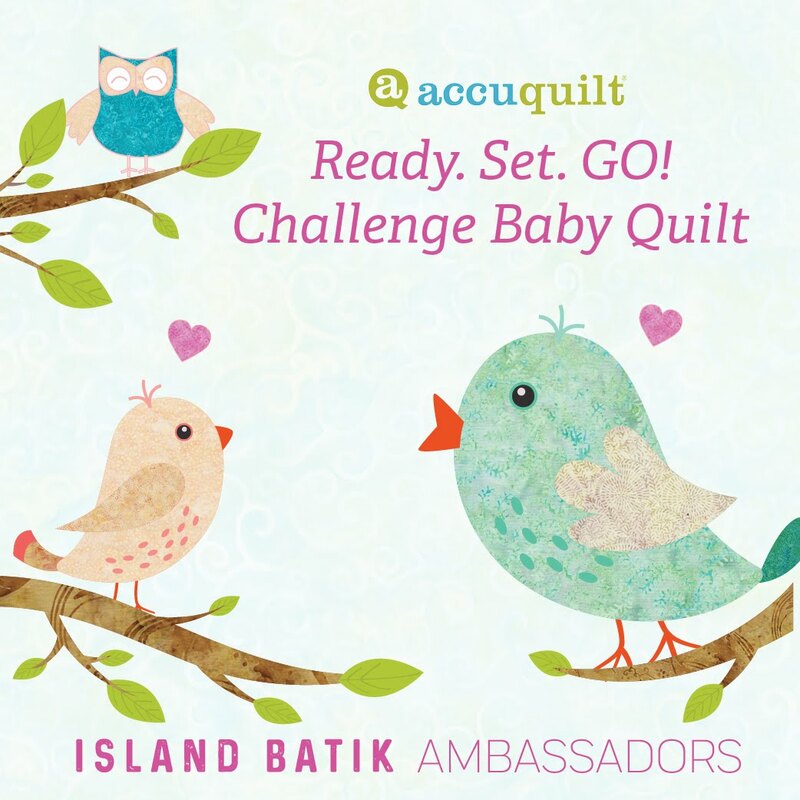 If you have ever dreamed of practicing free motion quilting, make a contemporary quilt and let yourself run wild. You won't believe how freeing it is! #2 son is crazy over Orca whales. Must have come from the years he spent at Sea Camp, at Sea World. Combine that with our love of Inuit design, and this was a must do! I was fortunate enough to find the perfect border batik for it! This is designed to be a table runner, but it will act as a head board for his bed. Now if I can manage to get the quilt done too. Reality is that is a next year's project! Sorry kiddo! I got the last of the embellishments on my second Deer Oh Deer quilt. Made a complete chef outfit including the coat and pants for #2 son. I found this hilarious Loralie print for the scarf and a couple of towels to go with it! Then in spite if the fact I didn't want to, I cleaned my quilting room. Yikes, where did all that dust come from. All the quilts came down and went into the dryer to clean them up a bit. I will be surprised if my dryer now isn't suffering from emphysema after all this! :-) While I was at it, I decided to hang some Christmas quilts for the holiday! I got a good start to my second embroidered car quilt. It was such a hit that I am teaching it in February and they needed a shop sample! This is a "My Fair Lady" design. She has some fabulous things if you've never seen her web site. And all my packages are in the mail!! Thanks Barbara, I have never been so organized this early in December! Now just what the heck am I supposed to do the rest of the month???? 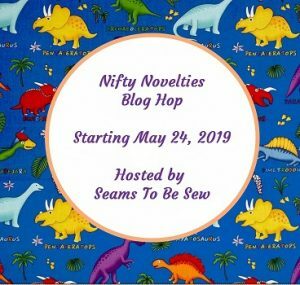 I'm so excited to be a part of the great "Quilting Gallery" blog hop this year. Thank you Michelle for hosting this fabulous party and making the Quilting Gallery what it is today! 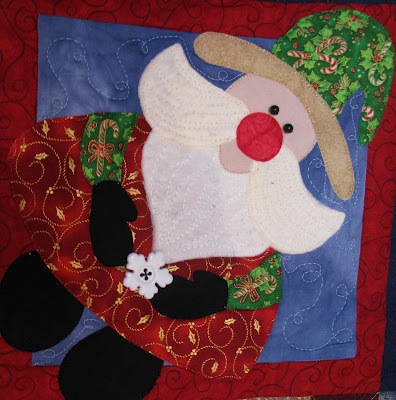 I have a fun little quilt to share with you, for the season. Is this just too fun or what??? Babbles, beads and buttons, where would we be without them! Leftover batting makes for great beards. I used 2 different types on these. One for his beard and one for his mustache. The slight difference in colors give it a bit more depth! 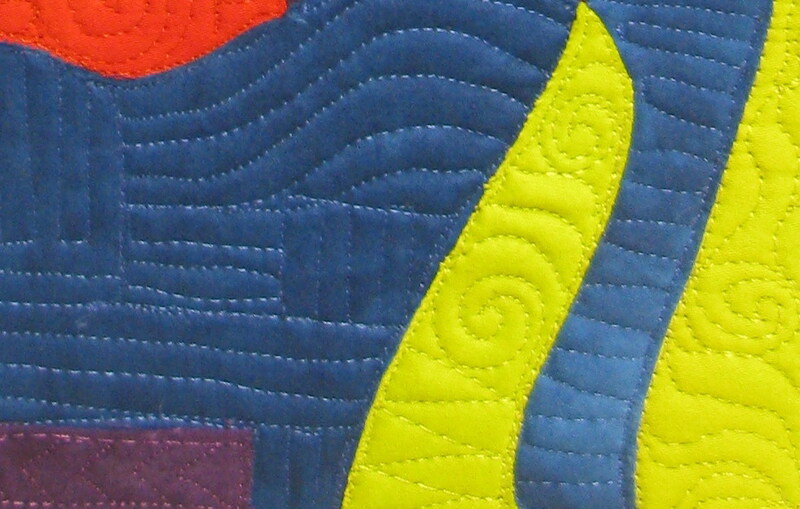 I love using Metallic threads in my quilting. Especially in holiday quilts. It bring such a sparkle to things! 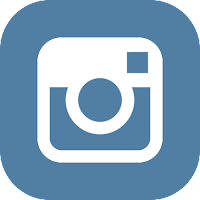 Leave me a comment, and please do follow if you are not already. I love my followers! Mr Random Generator will pick a winner on Dec 16th. That should hopefully, give it time to arrive before Christmas. Wishing you the very best! Have a Merry Christmas and a Happy New Year! Need a quick holiday gift?? Well do I have the answer for you. A few weeks ago, I attended a class my quilting buddy taught her church group. If you have never seen this method, it's great. You actually piece one side of the quilt as you quilt the other. You start with batting squares and add your fabrics. 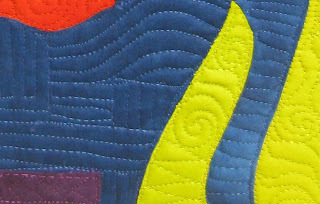 Quiltingworks.com has a great free tutorial! This is the back of my quilt! Pretty cool huh?? It's a great way to use up those left over strips, one can collect. You can be as planned as you like with the design, or random as you can possibly get. My first one was a bit planned. I used flannel on both sides, so needless to say, it is heavy and warm (very warm). I probably would not suggest it for use in Hawaii, or Phoenix, Las Vegas, anywhere where the temperatures get over 32 degrees!! :-) But seriously, if you use cottons, it's a very nice weight quilt. Ruth's big goal was to get us to "not" think about the placement of the strips, colors or the widths, just plop them down and stitch, it was kind of painful for those who like some kind of order in their quilting, but it didn't take long for them to warm up to the idea and soon we were all stitching away, and laughing up a storm, at the combinations everyone was sewing. I have to say, all sewn up, each block was fabulous. But did I have my camera that day??? Of course not! Sorry! Now my second one, (cause don't ya know I am now addicted to this method) has a planned and a random side. Now I know I am stuck in a box, all my quilts have the diamond layout, but there are many ways you can put these blocks together. Thow them down on the floor and start playing! It's just too fun! Just a note on the width of the strips when putting together the blocks. We decided that we liked a 1" strip instead of 1-1/8" for joining the blocks, and a 1- 5/8" width for the folded strip. That way the blocks touched each other and there wasn't a gap with no batting in between the blocks and row. This probably makes no sense at this point to you, but once you start stitching it together, it will. For my flannel quilt I went with a 1" strip but my folded strip was 1-3/4" in order to accommodate the bulk of the flannel. That seemed to work out the best for me! Experiment and see what your preferences are. 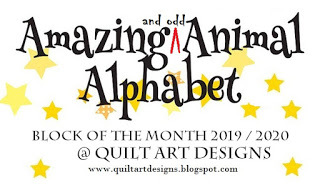 So hop over the Quiltingworks.com and start one for yourselves! 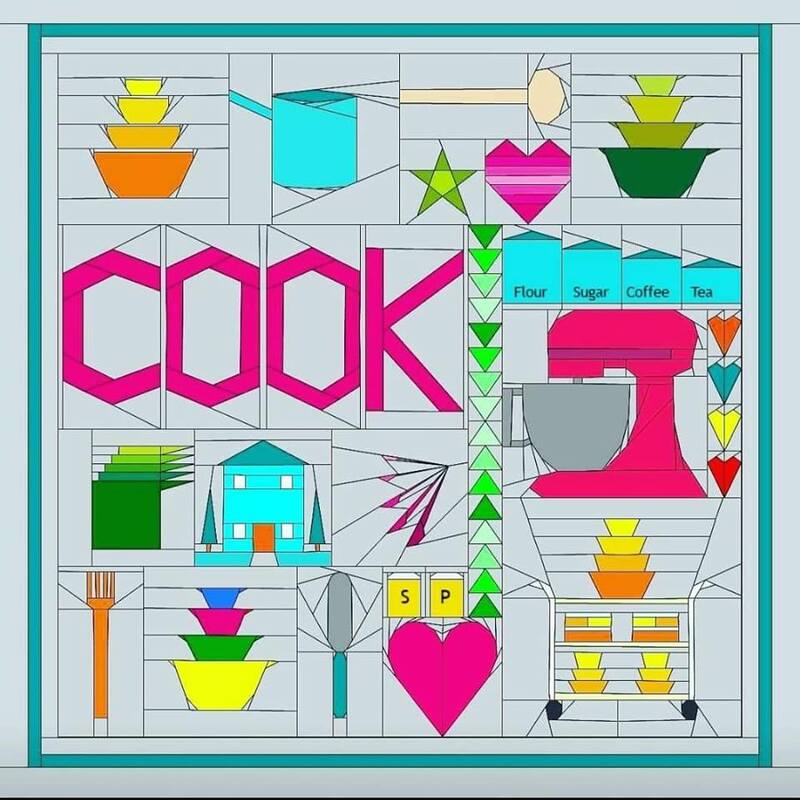 You can make warm and cool sides, bright and pastel sides, oriental and tribal sides, yellow and orange... The list goes on and on! Don't forget to show us what you did! I can't show you what I did, but nothing in the rules say I can't let you peek! I wake up this morning, to this!!! 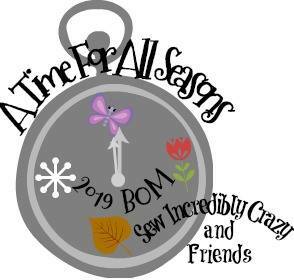 I am going back down to my sewing dungeon and hope the thermometer was just kidding! Can't wait to share what I have been doing for my part of the "Occupy" movement! For those who inquired about the pattern for the Springfield Stars quilt that I made for the SewCalGal blog hop, here is the information from Karen the pattern designer. Better get em while you can. Be sure to check out her fabulous blog too! You can direct your readers to send a self addressed stamped envelope to me at the address below. I have a limited number ( about 36) of the Timeless patterns available that I would be happy to send to them if they supply the envelope and the stamp! Barbara over at Cat Patches is hosting a sew in. What a great time to take advantage and get those holiday gifts done. You know where you will find me this weekend. 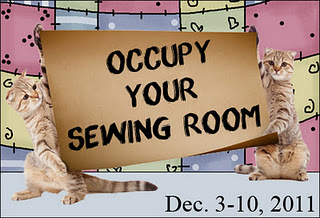 Now hop on over to Cat Patches for a visit, and start sewing! Then on Dec 11, show us what you did! Am I the only one who has blinked and found that it's December already? Whew, did this year fly by. I know it's a crazy time of year for everyone, so our trivet tux is going to be a quick and easy one this time! Thanks, to Sindy over at Fat Cat Patterns! Click HERE to download one for yourself. I did reduce this pattern by 50%, as her original pattern was for a 12 1/2 block. I've found lately that leftover batting scraps make for wonderful beards for Santa, or even the fur trimmings on his coat. I added eyes to by little guy and I blushed his cheeks to give him a bit of personality. So there you go, fast easy and done. Ready to start enjoying the holidays with. PS: if your new to my blog you can find the tutorial for the trivet tux's HERE ! 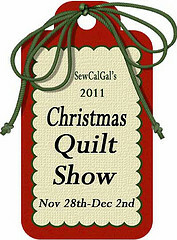 It' beginning to look a lot like Christmas - over at SewCalGal. 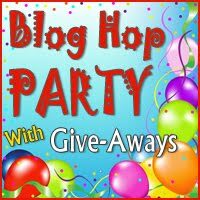 Nothing I love more, than a great blog hop, to get all our holiday juices flowing! We all know that Sew Cal Gal does it better than anyone , now don't we? Thanks for having us again this year. We love you!! I would like to share this quilt with you. Kind of bright isn't it? 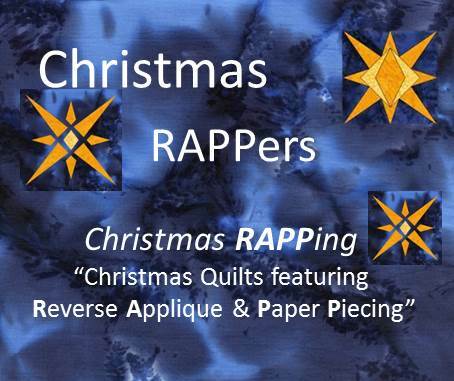 Nothing beats a "fun" quilt for the holiday season. This beautiful pattern is Timeless Treasures "Springfield Stars". It seems that they have taken it down from their website. I can't even find it in the archives! :-( Boo Hoo. But I had this bright silly Christmas print! What is a girl supposed to do??? You would never recognize this pattern now. And I have to tell you, with those high prices, you don't want to waste any of your precious fabric. There was some waste with the flying geese units on this one, but did it go into the trash???? NOOOOOOOO Remember those scraps cost the same as all the rest of the fabric, so hang on to em. I've got some fun things you can do with them, coming up in February. Just remember don't throw a thread away. Your gonna be very surprised... February isn't that far away! If I, a visual person, who finds thinking outside the box a challenge can do it, you can too. So grab a pattern, something from your stash, and see what treasure you can create. it's that visual thing again! And have a blessed Holiday Season!